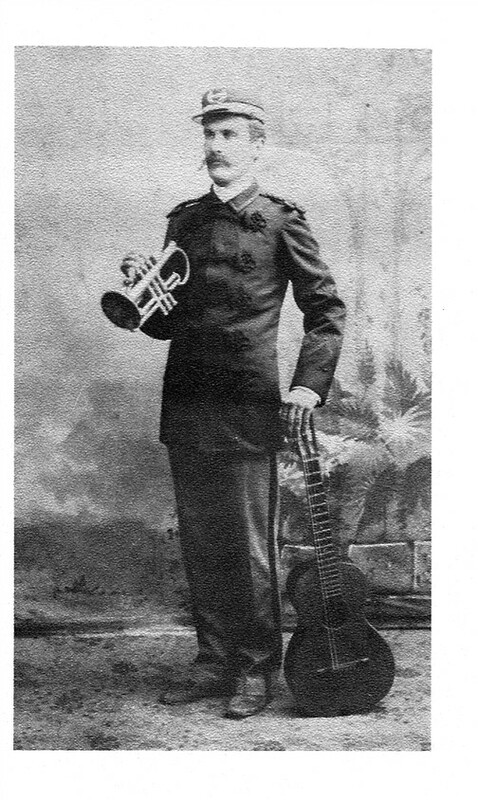 Clarence Cowper Waller in the 1800's. His family possessed incredible musical talent. Clarence Cowper Waller is seated holding a bible. 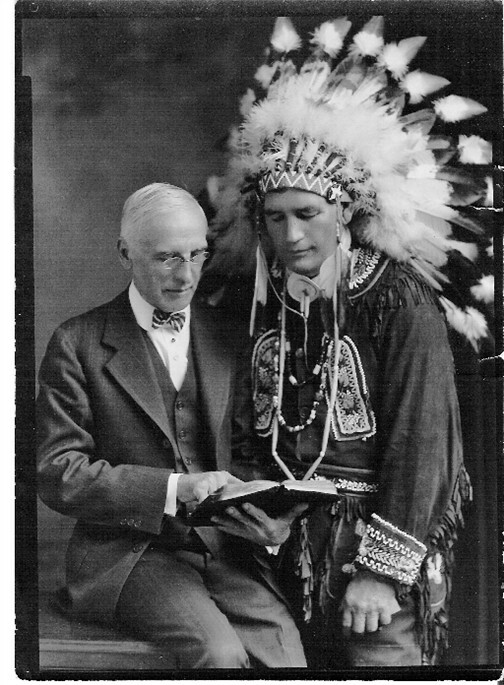 He is with a man in indian costume. Mr. C. C. Waller, Sr., was a Primative Baptist preacher.